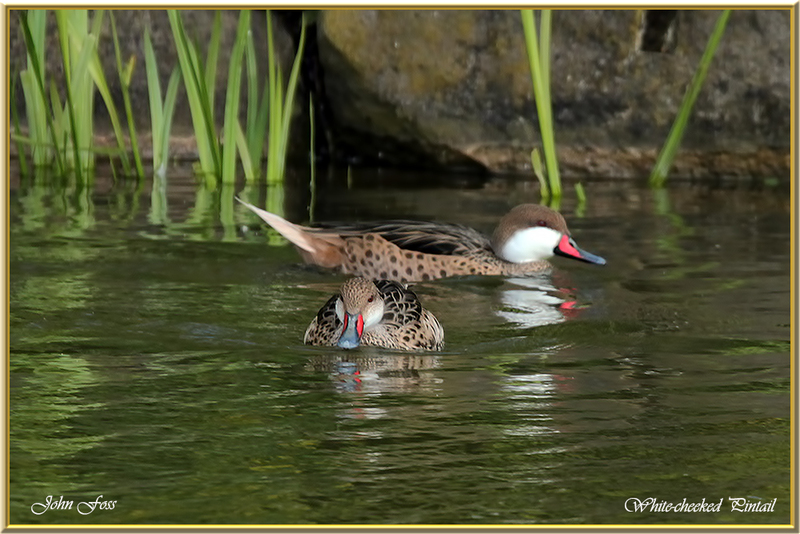 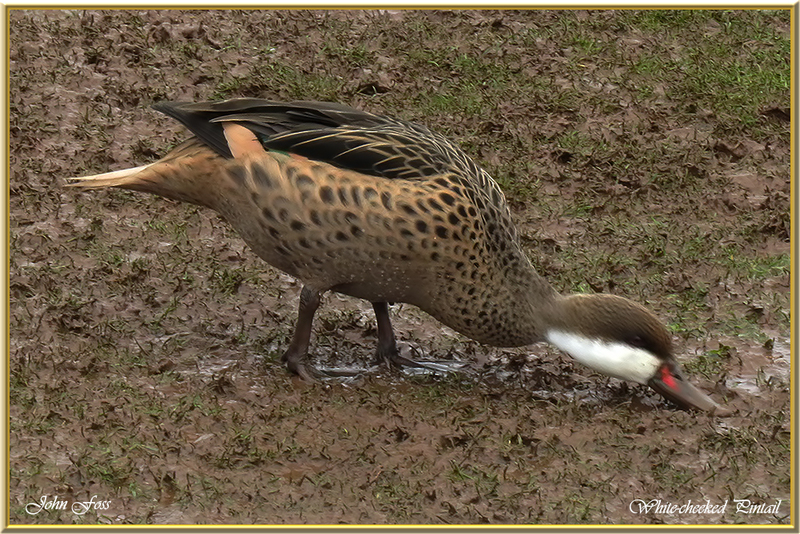 White-cheeked Pintail - This is a dabbling duck native to South America and the Caribbean. 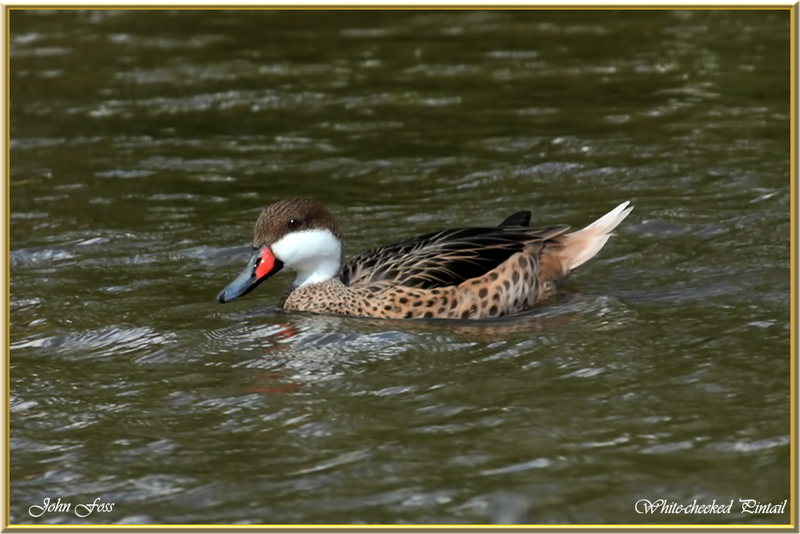 Naturally it frequents brackish areas and mangroves. 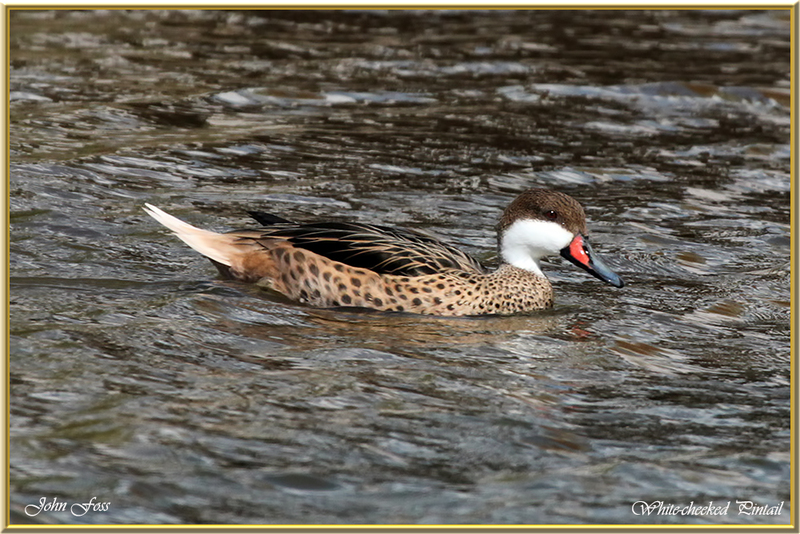 Not likely to be confused with other species with the prominent white cheeks with the grey and red bill. 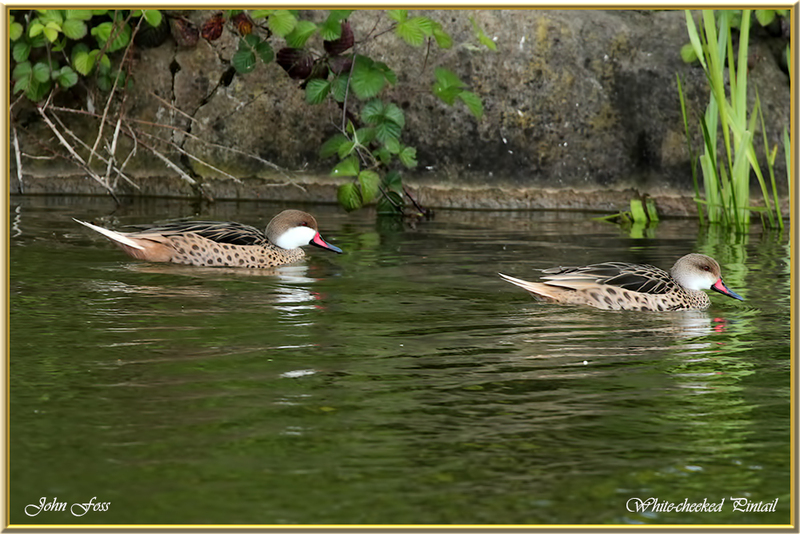 These birds were photographed at a Staffordshire lake in a private collection.